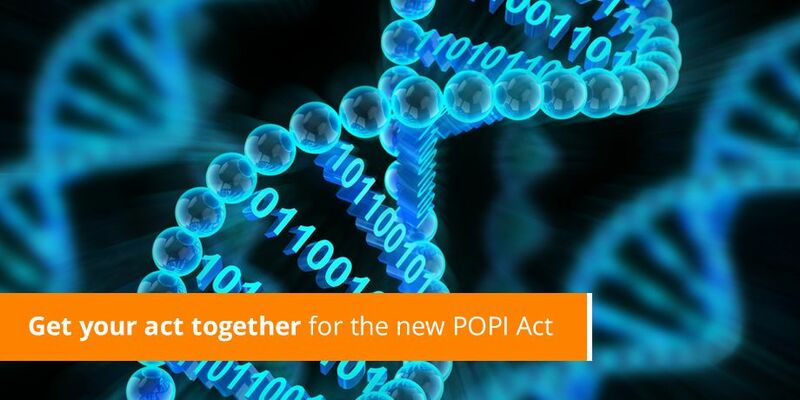 Fifteen months after the Protection of Personal Information Act (POPI) was signed in Parliament (November 2013), there is still no official indication of when it will be fully enforced or even if any progress has been made in appointing an Information Regulator. In his State of the Nation address on 12 February, President Zuma did not even mention this business-changing Act, which was so heavily in the spotlight in 2013. However, Treadaway says there are areas of compliance that will not be achievable in a one year period, so organisations should already be addressing them. Every organisation has employees. The size of your employee base and how much attention you’ve paid to where, why and how long you store information about employees will determine how much work is required to achieve compliance. Employee contracts need a clause giving consent to store and process personal information. Customer contracts require the same as above. If you share your customers’ Personal Information with a service provider (such as a WASP or ESP), your vendor agreements need to align with your contractual obligations to your customers. Your customer/vendor/employee acquisition processes need to be amended to include information about a Data Subject’s rights and to record consent for processing. You will need new processes to handle queries about Personal Information regarding where you got it, if you have consent to use it, if is it accurate and complete. And perhaps most important, you will need processes to appropriately manage a data breach. Ensuring that Personal Information entrusted to your organisation is safe, requires security on both a physical and technical level. This means identifying and securing every filing cabinet, desk drawer, server, mobile device and desktop on/in which personal information resides. It also means understanding who has, and who should not have access to those locations, plus the ability to manage access permissions and audit trails. Everyone in your organisation has to be trained on the new processes and security measures. Depending on the size and distribution of your staff, this may be a small or a mammoth task. But it’s not only about training, it is also about ownership of the requirements at all levels of the organisation.These interventions will be easier for organisations with C-level buy-in and the right company culture. “Businesses of a certain size may be able to park some of the changes until the Act comes into force. But most should be preparing in the areas which require exceptional investment (security) or large scale change management (training). And any business that is classified as an *Operator should be way ahead of the game in terms of both their own compliance and advising their clients on what is required. There is no question of an Operator waiting until the Act is fully enforced,“ concludes Treadaway.